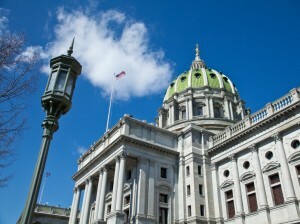 The bill that would end General Assistance (GA) — HB 33 — was passed (March 25) by the PA House Health Committee and may move quickly to the House floor for a vote. Please reach out to your local PA House member or other legislators you have a relationship with by phone or use this form and urge them to vote no to HB 33. To find your legislator click here. You may share with your State Representative that General Assistance serves Pennsylvania’s most vulnerable populations, including people with disabilities; their caregivers; people in treatment for a substance use disorder; people fleeing domestic violence; and children being cared for by friends or neighbors. General Assistance is a small, targeted, and temporary program. It helps keep vulnerable people out of shelters. People use GA to cover basic needs, like toiletries, washing clothes, paying medical copays, or paying for rides to the grocery store or disability hearings. The money is spent in local communities, benefitting local businesses like grocery stores, laundromats, and transportation companies. GA typically functions as a loan — the state is reimbursed for GA funds when people are approved for Social Security Income. Read more about how GA funds are utilized. As Lutherans, we have a role to ensure that our most vulnerable citizens of the Commonwealth are able to access this temporary, targeted assistance program. This assistance provides a bridge to self-sufficiency for many people who urgently need it. More information about the General Assistance program to discuss with legislators can be found here. We will provide updates regarding this legislation as they become available.